If you’re using Azure VMs in your organization one of the common governance challenge is to identify the unused disk space that was just lying around in azure storage unused and cost company money unnecessarily. This usually happens when vms are deleted but vhds are kept so to make sure that data is not lost or just disks are marked for deletion but then no-one actually remembers/take care of that. Whatever the reason is I’ve a simple solution for it: Create azure automation runbook that reports the unused disk space on periodic basis. You can do that by using automation schedule feature (I choose to run it weekly).I choose not to actually go ahead and delete these disks automatically since normally you would like to review details ( or let someone else do it) before deleting these disks but it is also simple to add logic to delete these used disks. Write-Verbose "[Success] Azure subscription selected | $azureSubscriptionName |"
$list = "DiskName,DiskSpace(GB),OS,AbsoulteUri" + "`n"
$list += "Total number of unused disks: $totalDisksCount" + "`n"
$csvData += $alldisks[$count] + "`n"
That’s pretty much it! Rest is just formatting of string and pushing details on the output. You can also store the csv output (the $disks variable) as a file and send it via email attachment or upload it to azure storage for easy access. You pass subscription name and azure organization account credential name as input parameters. 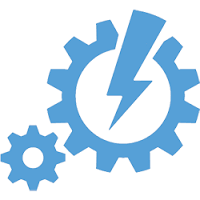 You basically need to save the actual organization account in azure automation as PS Credential asset since script will read it using Get-AutomationPSCredential activity.